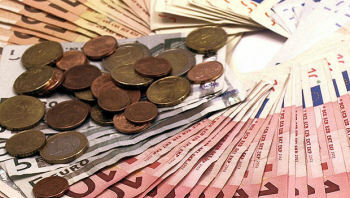 Interest rates have a significant effect in the foreign exchange markets. For that reason it pays to keep a close eye on them. Often it isn’t enough just to wait for rate changes to happen. Official interest rates are decided by central banks. But ultimately it’s the market that decides borrowing rates. Interest rates have a pronounced effect on a country’s economy. That makes them one of the fundamental forces behind movements in currency exchange rates. It isn’t enough just to wait for the announcements and guidance from central banks. By then it’s usually too late. Interest rates in most advanced economies have a tendency to run in cycles. Low interest rates “kick start” an economy by making it easier for businesses to borrow money to invest and grow. They also encourage consumers to spend rather than save. At the same time, lower interest rates depreciate the value of a currency against others. This makes its exports cheaper in other countries and therefore more competitive. These things in turn lead to rising prices – or inflation. This means interest rates will have to be raised again at some point. That will cause the currency to appreciate which weakens demand for exports, as well as slowing domestic growth. And so the cycle continues. It’s these cycles – or more crucially the perception of changes in these cycles that have the biggest impact on currency exchange rates. Managing the overall health and stability of the economy. Controlling inflation: While some inflation is necessary in an economy, too much can be highly damaging. As we’ve seen in recent years, even though central banks set official interest rates it’s the players in the international debt markets that decide what the borrowing costs are. Setting the overnight lending and borrowing rates: The rates at which banks can lend and borrow from the central bank. Reserve rates: Setting the interest rates on the compulsory reserve funds deposited by commercial banks. “Quantitative Easing”: QE has the effect of making money cheaper by lowering yields on debt instruments. This stimulates the economy but eventually it causes currency devaluation. Central banks typically use QE as a measure of last resort. Because of the powers the central banks wield, the simple act of announcing policy is usually sufficient to price rates into the market pretty much instantaneously. When a currency’s interest rate goes up, it makes certain assets denominated in that currency more attractive to investors. All things being equal money tends to chase yield. This means investors will move their funds to the place offering the highest rate of return. 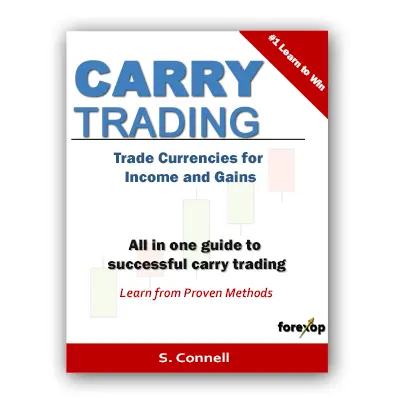 This can be through direct investment in the currency itself – as with the carry trade. Or it can be through investments in bonds, money market instruments, managed funds – even property and entire businesses. For overseas investors, these flows will usually involve foreign exchange transactions somewhere along the line. This causes the value of the currency to increase. Unlike short-term leveraged “bets”, these are real money flows. These tend to have a directional influence on a currency’s exchange rate. The movement of real money is the force behind major trends in the currency markets over long periods. For forex traders and carry trading especially, it pays to keep a close eye on interest rates across the board. It isn’t enough just to wait for the announcements and guidance from central banks. By then it’s usually too late. It’s helpful to pay attention to money market rates – namely Libor for the major currencies as well as interest benchmarks for others. As well of course as keeping up to date with economic news to try to anticipate the interest rate moves in advance. There are also numerous free websites where you can check daily Libor and other short term rates for most currencies. If you are lucky enough to have access to a commercial trading terminal, like Bloomberg or Reuters you should have easy access to Libor rates for various maturities. If you use Metatrader there are several tools available that will display rates for you. Libor is the “benchmark” interbank borrowing rate. It tells you the “market rate” of interest for a currency. That is, the basic rate at which banks are lending to each other, and the rate that’s used as the basis for pricing most other financial instruments. Libor is also the benchmark that many brokers use when calculating daily interest rate charges and credits. Libor can sometimes be very different from the official rate of the central bank – which is as far as the market is concerned is only guidance. This happens when the economy is under pressure or during crises or when a change is expected. It’s also not unheard of to have negative Libor rates – as we’ve seen recently with the Swiss franc and Japanese yen. There are several ways to determine Libor or applied interest rates. A quick and easy way to find the market interest rate is to check against quoted currency futures or forwards. A forward contract is priced as spot + a Libor (or equivalent) contract for the relevant maturity. This means the forward price is discounted from the spot rate by the interest rate differential on the currency pair (see the cash and carry trade). For example, if there’s a 2% discount on the 12 month forward contract, that means there’s a 2% differential in the 12 month interest rates of the two currencies. The short-term interest rates for the currencies you trade, including those for different maturities (the yield curve) will tell you the market’s expectation for future rates. This information will help you plan your trades and hopefully anticipate future events. This will also help you to deduce how much of a potential rate rise/fall has been factored into the market. For more on this see the article on the yield curve.